"See what it feels like to be a European bus driver in this European bus simulation video game." Drive around the fictional town of Freyfurt and test your abilities to drive a European bus in an urban environment. In European Bus Simulator 2012, there is a lot of realism added to this game that really stands out and allows you to experience first hand the difficulties of being a bus driver and the challenges you may or may not face. 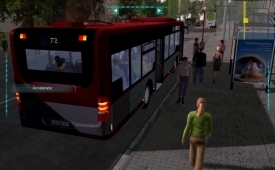 What makes this game incredibly fun though is that you are able to actually simulate these real life situations that you probably will never experience in real life since you will probably never become a European bus driver, especially if you are living in another country. The graphics are also pretty well done in this game. You will notice the fully detail bus you are driving, full of the passengers you have picked up and have to drop off. The city is fill with bus stops that you have to go to. There is a route that you have to follow and have to go through the route in a certain amount of time, but you have to be careful at the same time since you cannot speed and you cannot cause any sort of damage to the bus, other cars on the road, or to the passengers and pedestrians on the side of the road. Though, what I noticed is that the surroundings in the game are not really special at all. The city is pretty basic and there is not anything that really stands out that makes it special in any way. The lack of landmarks makes it difficult to navigate the city without using the map as guidance and the vegetation amount is pretty lacking, but other than that the game is pretty realistic and very detailed for its genre. 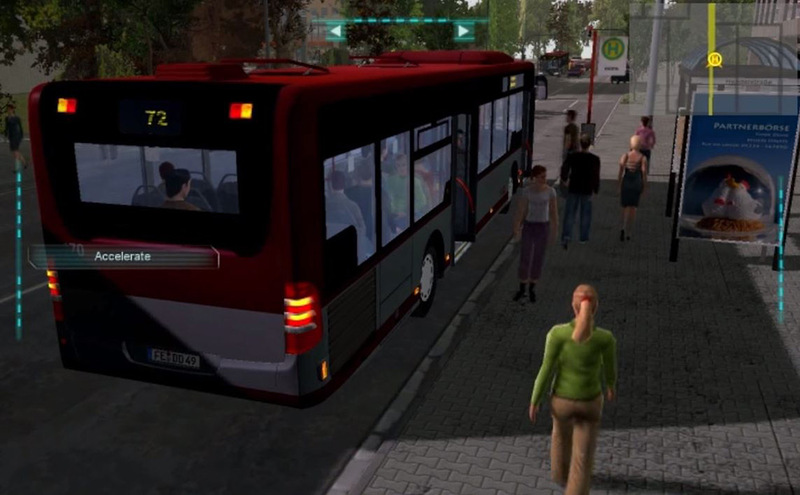 Give European Bus Simulator 2012 a try by downloading this free demo!